Being a mom is great. Its the best job I have ever had, even though there is no salary and no sick days. However, the second-best job I’ve ever had was being an aunt. 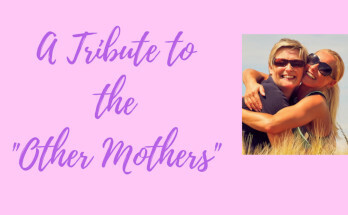 Between my husband’s family and my own, and close family friends, we have 7 nieces, 7 nephews, 5 great nieces, and 2 great nephews between us, ranging in age from 21 months old to 33 years old. Yes, we have an interesting family, but that’s for another day. 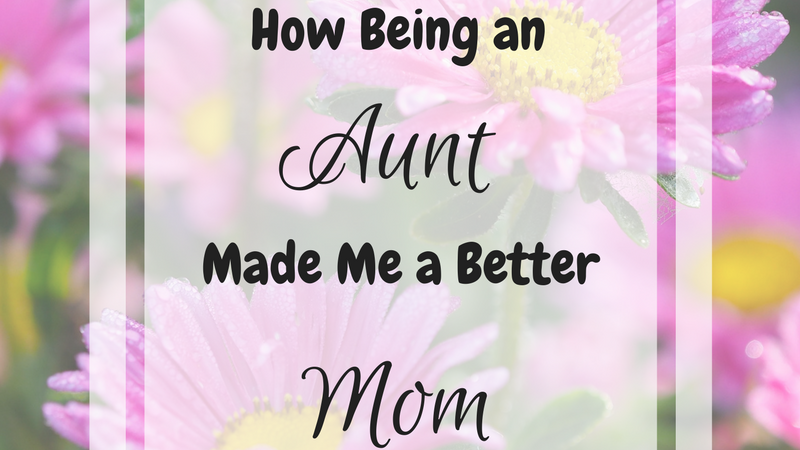 Being an aunt has taught me so much and has made me a better mom. Here’s how. My son with his aunt at 1 day old. With that many nieces and nephews, you can bet that I became familiar with children quickly. Some people are never really around babies until they have their own. This was not an issue for me. I was fortunate enough to babysit one of my nieces once a week for the entire first year of her life. This was really cool because babies learn and grow so much in the first year of their life. I really got to experience her development during these stages and it was so much fun to watch. It really taught me a lot about milestones, and child development. I learned about diaper changing, and feeding, and burping, and all those things that come along with a new baby. 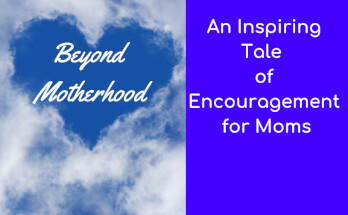 This really helped me be a better mom, because when my own son was born, I had at least some experience with these things. It allowed me to be a little more laid-back and roll with the punches. 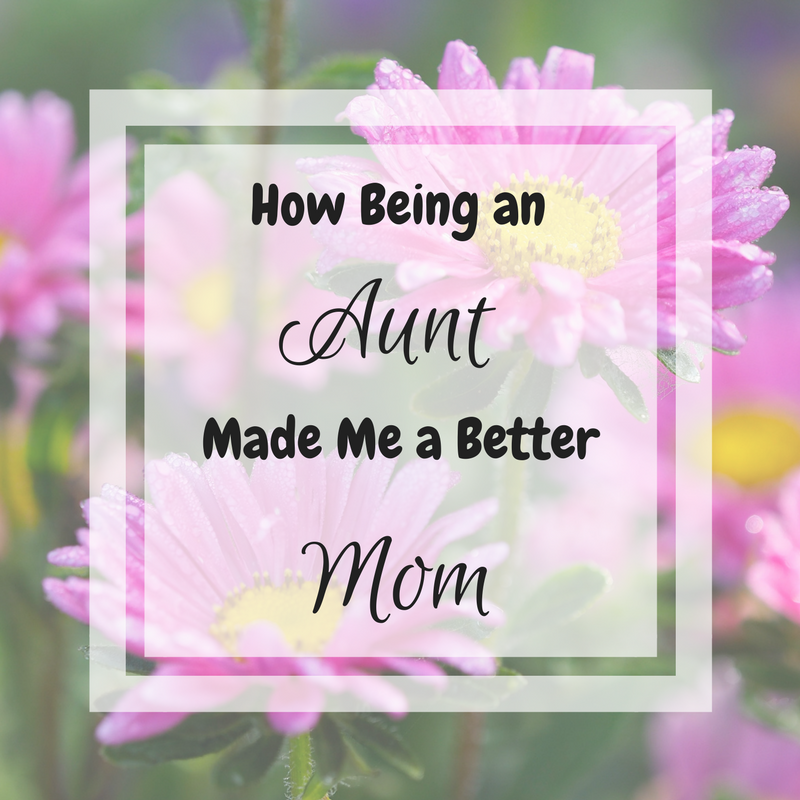 Another way that being an aunt made me a better mom is that I really learned what to do in different scenarios. I learned what to do if your infant wont burp, or has gas. It taught me what to do when a child has a cold or throws up. I learned how to deal with tantrums, and behavior issues, and discipline. There are ways to deal with things, and I learned so many different tricks while being an aunt. Every mom makes mistakes. One of the benefits of being an aunt is getting to see those mistakes and learn from them. Don’t get me wrong, because I have made plenty myself, but seeing what others have done has helped me learn not only what to do, but what not to do. Parenting is all trial and error. So the more you can figure out from others, the less you have to figure out on your own. For example, a very close friend started feeding her child purees, and she started with fruits. After several sweet fruits, her child wouldn’t touch the veggies. From that I learned to start with the veggies and throw fruit in here or there. Its a small thing, but saved me a lot of headaches. My son and his aunt. You can really see the love they have in this photo. People will say that there is nothing like the love you have for your own child. I completely agree with this. However, the next closest and best thing is the love you will have for your nieces and nephews. Some of my nieces and nephews are related to me by blood, and some by marriage, and others by years of a familial type bond with close friends. Some I am very close with, and some not so much. One thing is certain though. I have so much love for them all and wish the best for them. I think about them all the time, even if we don’t see each other or talk. I am quietly cheering them on. I would do anything to help them if they needed me. This is the truest love I have ever felt before becoming a parent, and it has made me a better mom. Love your blog. 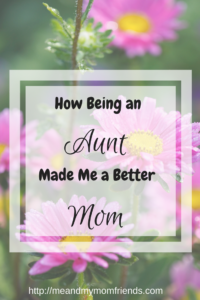 I agree that having experience as an aunt better equips you for being a parent. ? Very true! I am extremely close with my oldest niece and she sort of taught me how to be a mom. Between frequent sleep-overs and trips together, I learned so much about what to do (and not to). Exactly! 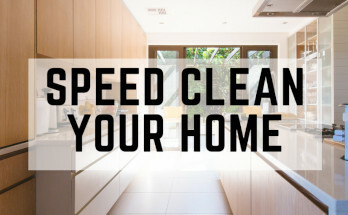 Its not the same as being a mom, but you certainly get a lot of experience under your belt! This is so sweet! I completely agree, that it’s such a blessing to have experience with babies before you have your own! Of course, it’s a little different being the mom vs. being the Aunt, friend, caretaker, but I am so thankful for my time as a nanny to one of my best friend’s baby because I knew a little of what to expect, plus I got to have that Aunt/niece type relationship which is just so special! I am so ready to have some nieces and nephews running around with my kids! I have 2 nephews and 3 nieces, but they live far out of town and I have actually only met 3 of them and it was YEARS ago before I even thought of having kids. I have heard that being an aunt is an awesome experience, and I can’t wait to finally experience it with some of my nearby siblings! This is so sweet. I agree with you so much. I’m not an aunt, but I’m the oldest sibling and cousin out of my whole family so I’ve had lots of practice. Thankfully we get to test out our skills on the young ones and they still think we’re cool at the end of the day! Agree with all your points. 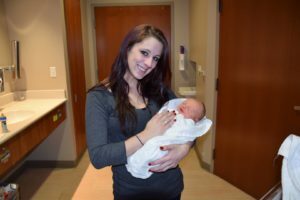 Being an aunt first helped me a lot with my baby and helped take away a lot of my anxiety. It takes a village! I never thought about it like that. 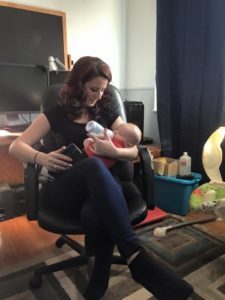 I suppose because I became a mom before I became an aunt- but had I been able to be there for situations with my niece it probably would have calmed me down a bit when those things happened with my own kids.